‘Obey Leash Laws,’ a palm-sized booklet, is a lighthearted walk through some of my sketchbooks. 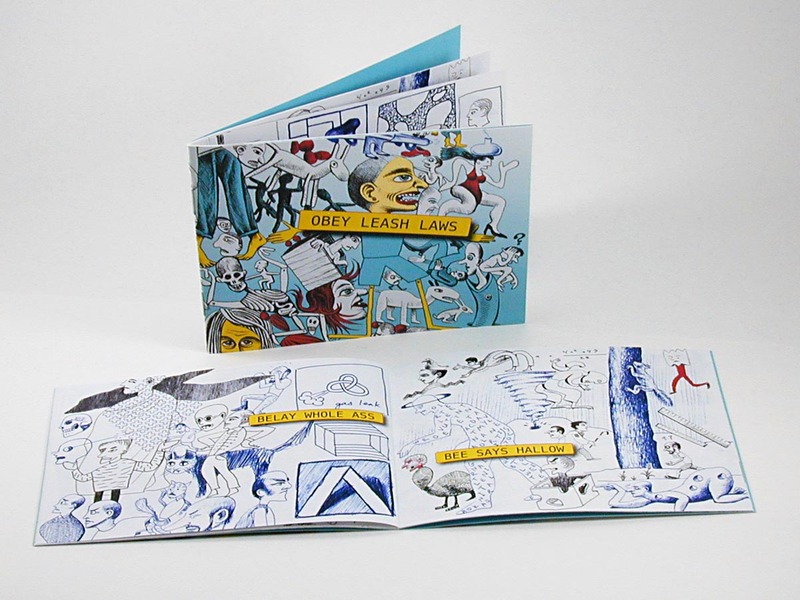 Each page features a cluttered collage of ball-point pen cartoons and a ‘caption’ (e.g. – Boas lay wheels.) which is an anagram of the book’s title. Cover and 20 pages of color illustrations; 5.00 x 4.00 inches, saddle-stapled, digital printing; 2015.